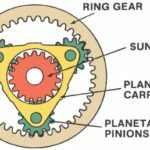 From 2 wheeler like bike to 4 wheeler like cars we often hear the term “Clutch” whenever we talk about gears or gear shifting in an automobile, as we know to shift the drive from high torque to high speed or vice versa we need to press the clutch pedal than only the gear shift becomes possible but the question arise what does this clutch do? 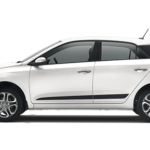 Why it is so important part of an automobile vehicle? The basic answer is “A clutch is a device that is used to transmit fluctuating rotation between 2 shafts” but how it is done? Still remains unanswered let’s find out the answer by discussing the Multi-plate clutch, A type of clutch used in many vintage cars and in bikes. A multi-plate clutch is a type of clutch in which the multiple clutch plates are used to make frictional contact with the flywheel of the engine in order to transmit power between the engine shaft and the transmission shaft of an automobile vehicle. A multi-plate clutch is used in automobiles and in machinery where high torque output is required. In bikes and scooter multi-plate clutch is used due to the limitation of compact gearbox used in bikes and scooter. What is the Need of a Multi-Plate Clutch? 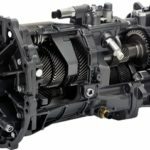 Where there is a need of high torque output like in pick-up truck, a single plate clutch fails to provide that much frictional force (between flywheel and clutch plates) that is required to provide such a high torque, so in heavy vehicle like pickup trucks multi-plate clutches are used. In 2 wheeler vehicles like bikes and scooters there is a problem of packaging due to their small size, So to fulfil the need of required torque output, instead of a large single plate clutch , A multi-plate clutch having small clutch plates is used to transmit power between engine shaft and the transmission shaft. When there is the engagement of the clutch ( in order to transmit power between flywheel and the transmission shaft ) multiple plates of a multi- plate clutch provides more frictional force between the flywheel and the pressure plate as compared to single plate clutch, due to which the chances of slip is almost negligible in multi plate clutch. 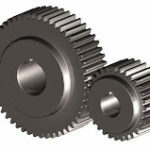 When we go to the terrain having different ups and downs or different road challenges, A multi-plate clutch is required to maintain the smooth and steady engagement between the engine and the transmission shaft which in turn continuously provides required amount of torque and speed to the vehicle. The efforts required by the driver on the clutch pedal in order to engage or disengage the clutch is less in multi-plate clutch as compared to single plate clutch. A pressure plate is used which is having outer sleeve connected to the pedal fork in such a way that the pressing of pedal will move the pressure plate outward in order to disengage the clutch. This pressure plate used are made to contact with the clutch plates pack in order to engage the clutch and the release of this contact will result in dis-engagement of the clutch. The engagement of the clutch is maintained by the stiffness provided by the number of thrust springs placed in circular fashion used behind the pressure plate, due to the compression of these thrust springs disengagement of the clutch occurs. 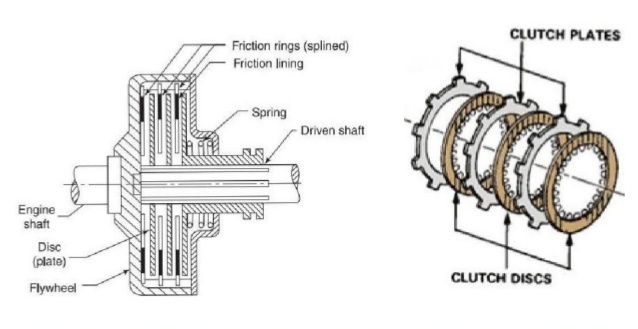 As the thrust springs operated with the pedal movement is used to engage and disengage the clutch, this type of clutch is called spring type multi-plate clutch. This type of clutch is used in old cars and bikes. It is the modified version of spring type multi-plate clutch in which the thrust springs placed in circular fashion from the spring type clutch is replace with a special crown shaped finger type spring called diaphragm spring. During the engaged state of the clutch the fingers like fins of the diaphragm clutch stays in inflated state due to which the pack of multiple clutch plates having friction lining at the other end attached with this spring makes continuous frictional contact with the flywheel results in power transmission between the engine flywheel and the transmission shaft. 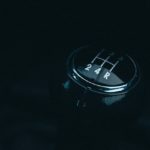 When driver presses the clutch in order to shift gear, the force applied by the driver over pedal is transferred to the diaphragm spring which in turn deflates the fingers of the diaphragm spring and the disengagement of the clutch takes place. These type of clutches is used in modern cars and bikes. This is the modern type of clutch used in vehicles fitted with the automatic transmission, in this type of clutch a hydraulic device having highly compressed fluid operated with the accelerator pedal is coupled with the multi-plate clutch and the engagement and disengagement of the clutch is obtained by the output given by the hydraulic device which is controlled with the acceleration pedal. The main components of all the clutches used in automobile vehicle is almost same but with some modifications, so let’s discuss the main parts of different types of multi-plate clutches used. A plate attached to the splined sleeves which are further attached to the pedal fulcrum such that when the clutch pedal is pressed, the sleeves attached to the pedal fulcrum moves outward which in turn moves the pressure plate attached with this splined sleeve. This pressure plate used in clutch applies pressure over the clutch plates with the help of thrust springs that helps the pressure plate to maintain its frictional contact with the clutch plates. It is the metallic plate having frictional lines at its outer surfaces and is used to make frictional contact with the flywheel in order to transmit power between engine shaft and the transmission shaft. The inner frictional surface of the clutch plate makes contact with the flywheel and the outer frictional surface makes frictional contact with the pressure plate whose movement is operated by the clutch pedal. In multi-plate clutch multiple clutch plates are used in which number of clutch plates are placed over each other which in turn increases the frictional force required for engagement of the clutch. These are the springs used behind the pressure plate and the stiffness of these springs is used by the pressure plate to maintain the frictional contact with the clutch plates which in turn maintain the clutch engagement. Numbers of thrust springs are placed over the outer surface of the pressure plate in circular fashion. 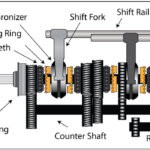 The force applied by the driver over the clutch pedal is transferred to these thrust springs which in turn causes movement of these springs and the disengagement of the clutch occurs. 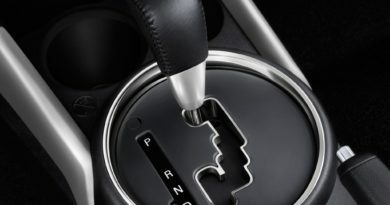 A clutch pedal operated by the driver of the vehicle is used to control the engagement and disengagement of the clutch. When the clutch pedal is pressed the fulcrum attached with its inner end rotates which in turn causes movement in the splined sleeves through which the pressure plate attached and with this movement of splined sleeve disengagement of the clutch occurs. A outer splined transmission input shaft is used over which the complete clutch assembly that includes clutch plates, pressure plate , inner splined sleeve , clutch casing is placed and rotates with it . The inner splined sleeve which is attached to the pressure plate in multi-plate clutch, The movement of this sleeve is controlled by the clutch pedal. The to and fro movement of this inner splined sleeve causes engagement and disengagement of the clutch. Though this is the part of the engine but we can also consider it as a part of clutch system as the transmission of power from engine output shaft to the transmission shaft is obtained by the frictional contact between the clutch and the flywheel of the engine. All the parts of the diaphragm clutch and the spring type clutch is same but the modification is made in the spring used for engagement and disengagement of the clutch. Let’s discuss about it. In diaphragm type clutch system the thrust springs used in spring type clutch is replaced with a special diaphragm type springs. This diaphragm spring is a circular spring having number of fingers like fins at its central surface which looks like a inflated diaphragm. 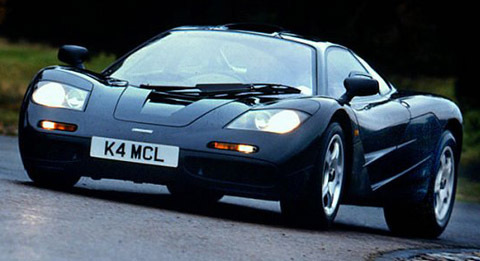 During engagement these finger like fins of the diaphragm spring remains in the inflated shape which in turn applies pressure over the pressure plate and maintain the friction contact between the pressure plate, clutch plates, and flywheel respectively. When the clutch pedal is pressed these finger like fins of the diaphragm spring moves just like a deflated diaphragm which in turn removes the pressure over the pressure plate and disengagement of the clutch occur. All the component of the hydraulic type multi-plate clutch is almost same as the diaphragm clutch but the modification is made in its operation that is. In this type of clutch the engagement and disengagement of the clutch is controlled by the hydraulic device (eg- torque converter) controlled with the accelerator pedal and is coupled with the diaphragm type multi-plate clutch. No clutch pedal is required in this type of multi-plate clutch. During the engaged state of the clutch i.e. when the clutch pedal is not pressed, The thrust springs do not move due to which the stiffness provided by these springs maintains the pressure over the pressure plate having friction lines on its inner surface. Due to this pressure over the pressure surface the frictional contact between the friction lines of pressure plate and the friction lines of multiple clutch plates is maintained due to which frictional force is applied over the flywheel. Due to this frictional force the frictional contact between the multiple clutch plates and the flywheel is maintained which in turn finally provides clutch engagement. When the clutch pedal is pressed the fulcrum attached at its inner end rotates due which the inner splined sleeve through which the pressure plate is attached moves outward which in turn applies pressure over the thrust springs. Due to this force the thrust springs moves which in turn release pressure over the pressure plate and finally the frictional force between pressure plate, clutch plate and the flywheel is removed. Due to this removal of the frictional force, frictional contact between the pressure plate, clutch plate and flywheel breaks and finally the disengagement of the clutch is obtained. In diaphragm type multi-plate clutch all the working is almost same the little difference is that instead of thrust springs, diaphragm spring is used for engagement and dis engagement of the clutch. In automatic type multi-plate clutch the working differs as the operation of engagement and disengagement of the clutch is made automatic through the hydraulic device operated with the accelerator pedal which is coupled with the diaphragm type multi-plate clutch. 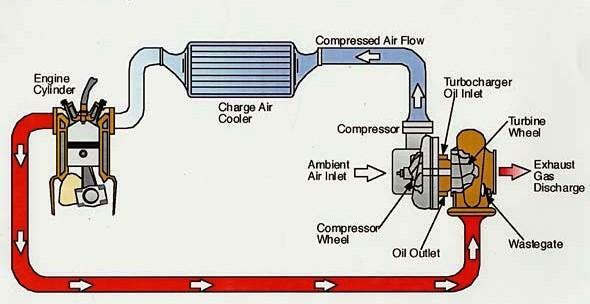 How Turbocharger Works – Explained?